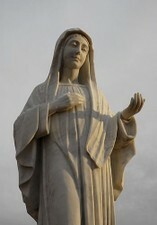 Welcome to the Medjugorje website for English speaking pilgrims. Approved by the Information centre "Mir" Medjugorje. In the previous 2018 there have been 1 672 000 Holy Communions given in the church, and total of 39 104 priests that concelebrated at Holy Masses. The cost of providing both the live stream video and the development of a simultaneous translation of the Evening service is a financial burden. If you would like to donate however big or small to help Medjugorje in spreading Our Ladys message to the world, then please donate via PayPal or to the Information Centre Medjugorje. Thank you and God Bless. Click here for 'SET OUT ON A SPIRITUAL VISITATION'...a talk given by Fr Svetozar Kraljevic in Medjugorje. Dear children, I call you 'apostles of my love'. I am showing you my Son who is the true peace and the true love. As a mother, through the mercy of God, I desire to lead you to Him. My children, I am calling you to comprehend that it is, thanks to my Son, that you live - through His love and sacrifice. You are asking of my Son to be merciful to you and I am calling you to mercy. You are asking of Him to be good to you and to forgive you, and for how long am I imploring you, my children, to forgive and to love all the people whom you meet? When you comprehend my words with the heart, you will comprehend and come to know the true love and you will be able to be apostles of that love, my apostles, my dear children. Important message from Fr. 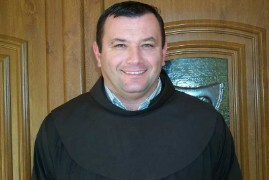 Marinko Sakota, Parish Priest of Medjugorje parish. 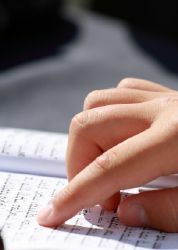 it is not simply a document you sign and immediately forget. One of us means future, it represents our future, the future of millions of people, our brothers and sisters. One of us means being part of history and let Man be part of it. One of us: sign it and have it signed! March 18 – March 22 – The 26th International Spiritual Retreat for the Group Leaders and Organisers of Pilgrimages; More Info.